Costa Rica is one of a few countries, that officially doesn't have a military. It was abolished on December 1, 1948 by President José Figueres Ferrer and this anniversary is celebrated on the national level as Military Abolition Day. On March 12, 1948 the Costa Rican Civil War broke out and lasted for 44 days. This was the bloodiest event in the history of Costa Rica of the 20th century. During the war approximately 2,000 people died. The war was caused by the outcome of the presidential elections, held in February. A rebel army rose up against the incumbent government and President Teodoro Picado and defeated him. José Figueres Ferrer became president of Costa Rica and governed a provisional junta for a year. 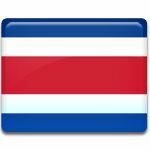 On December 1, 1948 Ferrer abolished military of Costa Rica to end the military history of the state. The abolition of the military was introduced into the Constitution of Costa Rica and the budget dedicated to the military was divided between education, culture and security. Currently Costa Rica maintains small forces capable of law enforcement and foreign peacekeeping.